Details of this post have been updated. 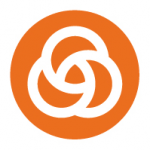 TriMet and the agency’s Board of Directors will conduct an international search for the next general manager to lead the region’s largest transit provider. Current General Manager Neil McFarlane announced on Wednesday, Oct. 18, 2017 that he will be retiring early next year. TriMet has contracted with KL2 Connects LLC and Celia Kupersmith to conduct a worldwide search for candidates. The agency aims to have the next General Manager identified in early 2018. TriMet’s General Manager sets and leads the strategic direction of the agency, collaborating closely with TriMet’s executive team to put that strategy into operation. The GM must ensure a commitment to safety through effective leadership, while implementing practices that demonstrate safety is a fundamental value in all aspects of operations. The General Manager spearheads the prudent use of TriMet’s financial resources. The agency has a $1.2 billion budget for fiscal year 2018 and employees nearly 3,000 people. The GM oversees proper operations and maintenance of vehicles, right-of-way and facilities while working to enhance the customer experience on the transit system. The change in leadership comes at a busy time for TriMet. With the passage of a state transportation package (HB2017) this summer, TriMet will be starting a low-income fare program in the coming year. The agency also will be expanding bus service, electrifying a bus route to test all-electric buses, advancing the Division Transit Project, working with community partners on the design of the future Southwest Corridor Light Rail Project, making improvements to its code enforcement and citation process, building out the new Hop Fastpass™ regional electronic fare system and improving the reliability of the system in the coming year. TriMet’s Board of Directors appoints the agency’s General Manager. It the coming weeks, board members will connect with key stakeholders to get their input on the next GM. Finalists are expected to be identified in early 2018. The public will have an opportunity to hear from the final candidate at a TriMet Board of Director’s meeting.